Prior to my hands-on demo of the game, I had the chance to sit down with Phoenix Labs President and Co-Founder, Jesse Houston. Phoenix Labs was founded in 2014 and is composed of 40 close-knit developers who have career histories together. Many of these devs have had previous positions are big name studios like Riot, Bioware, and Blizzard, so this certainly isn’t their first rodeo. 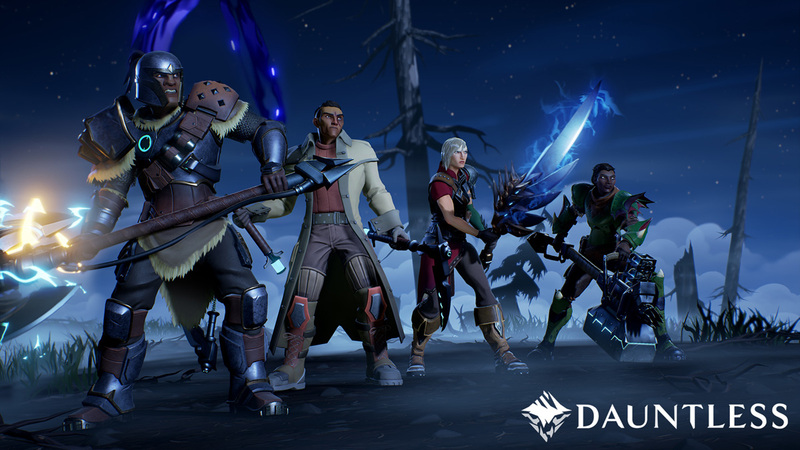 Jesse described Dauntless as a Monster Hunter-like experience for PC that is “unapologetically co-op.” By this he means that while the game technically supports a solo experience, the game is designed to be played and enjoyed with friends (much like the Borderlands series). The game will have a Destiny-style hub (a Central City Island) where players can craft, customize their gear, and engage in matchmaking. From there, players will embark on missions, which are intended for a 4-player experience (specifically “balanced for 3.5 players,” as Jesse told me). If you have less than 4 players, however, the missions will scale down in difficulty. This missions will take place on individually-crafted islands, which are the home to hand-created monsters. Jesse explained to me that Phoenix Labs has found that procedurally-generated content can often lend itself to everything looking the same, or everything looking random. 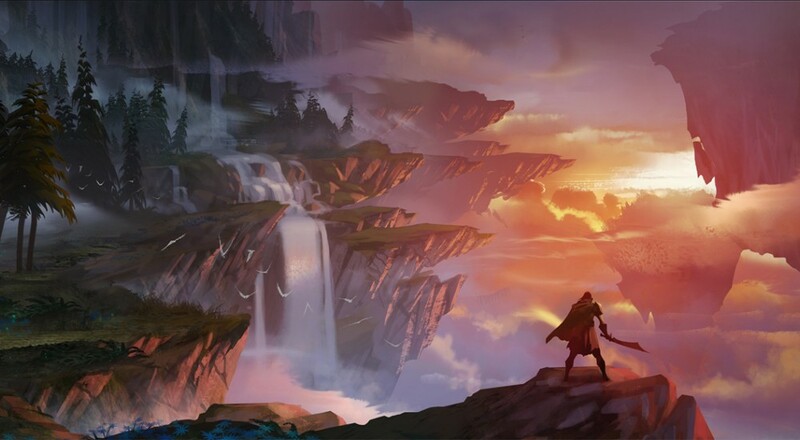 They want to ensure that all the creatures and the islands in Dauntless look polished and distinguishable from each other. Instead, the variety will come from other sources. One such source is the monster AI which will be procedural. Monsters will be equipped with kits that will tell them to react certain ways depending on their current terrain. So fighting an Owlbear on the beach will be different than fighting an Owlbear in a forest. The second way Phoenix Labs is planning to keep things fresh is with an Island rotation. They’re still figuring out the details, but Jesse envisions they might have 6-10 islands in a timed rotation for players to hunt on. After the week (or whatever time unit they choose) is up, a new 6-10 islands will be rotated in. 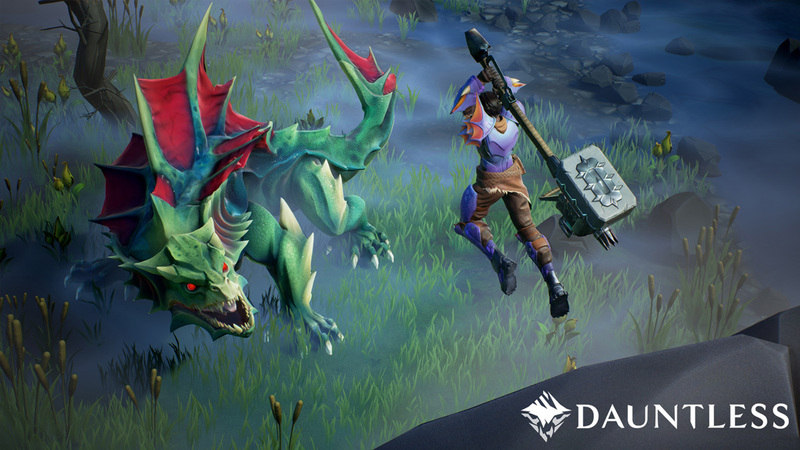 One of the things that really sets Dauntless apart from other co-op action games is how the character progression works. When making a character in Dauntless, players will be able to pick from Monster Hunter-style classes that will predominantly be determined by weapon. Character progression will be crafting-based, with your equipped gear, weapons, and airships determining your skills. For example, a gear set might grant a new skill as a full-set bonus. This might be a good place to segue into my time with the game. Page created in 0.3699 seconds.